Sail away on a Disney Cruise and depending on your location, you might stop at Castaway Cay. What or where is Castaway Cay? It is a Bahamian Out Island previously named Gorda Cay and is one over over a dozen Out Islands. Disney bought a lease on the land from The Bahamian government and restructured … Continue reading "Disney Pic of the Week – Castaway Cay"
Tough days at the office and difficult times in personal lives are among the moments that we wish ourselves back at The Happiest Place on Earth or The Most Magical Place on Earth. In between flashbacks we plan actual vacations or at least daydream about the things we yearn to experience for the first time … Continue reading "Future Disney Vacations"
by Michelle Scribner-MacLean We’ve all had those days”¦we’re busy with the kids, we’re stuck in endless meetings, trapped in rush hour traffic. It’s times like this that we need to go to our happy place. For me it’s often thoughts of upcoming trips to Walt Disney World. 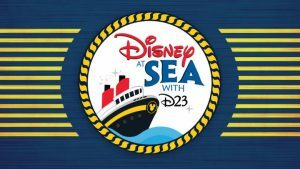 Sometimes I find myself thinking of a whirl … Continue reading "My New Happy Place…A Cabana on Castaway Cay"
Disney Cruisin’ – Is it a Good Value? 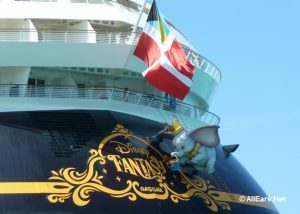 Several weeks ago I received an email from Kristin about Disney Cruises, and she asked: “Is it a good value for the money compared to a Disney World vacation?” In a blog entry I asked you to tell me what you thought, and I’d like to share some of those responses with you now. Thank … Continue reading "Disney Cruisin’ – Is it a Good Value?"